Penny Candy Books, 9780999658413, 40pp. 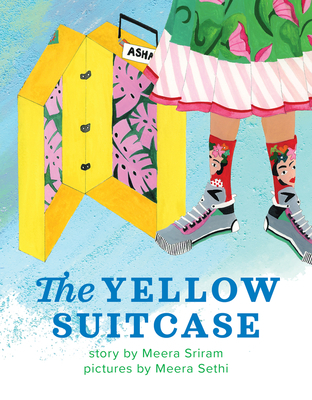 In The Yellow Suitcase by Meera Sriram, Asha travels with her parents from America to India to mourn her grandmother's passing. Asha's grief and anger are compounded by the empty yellow suitcase usually reserved for gifts to and from Grandma, but when she discovers a gift left behind just for her, Asha realizes that the memory of her grandmother will live on inside her, no matter where she lives.